At IVF London, we pride ourselves on the feedback we get from our patients. For us, the most important aspect of our work is patient satisfaction and experience. Please take a look at some of the lovely things our patients have had to say about us and our staff. Thank you to all the team at IVF London for making the whole process so enjoyable. It has been a very smooth and well organised process and you all were very professional and caring. It has been a pleasure being at IVF London and I’m glad i made the choice to come to you. I am very proud to review my experience I have had with IVF London in Elstree. What my husband and I thought would be daunting and nerve-racking journey turned out to be the opposite thanks to the professionalism and genuine care we received. From our very first consultation with Alpesh, we felt totally at ease, with any questions we had answered in detail. Our nurse, Abby, was so patient, thorough and kind throughout. I am so grateful for Alpesh and Abby answering my calls in the first ring, for always providing an incredible personal service and feeding us with all the knowledge we needed. Dr Shipra and Dr Alex treated me with the incredible expertise. Their years of experience in fertility was evident. Thanks to this amazing team that lead to a successful pregnancy with the very first try! I am eternally grateful to you all and will recommend you over and over again always. I chose to do my egg freezing at IVF London after meeting Alpesh and the team who put me at ease. They genuinely care about their patients and I had very positive experience throughout. I’d recommend IVF London to anyone that wants a high touch service with highly experienced clinicians. Thank you everyone in IVF London, you all made my IVF treatment easy and memorable. 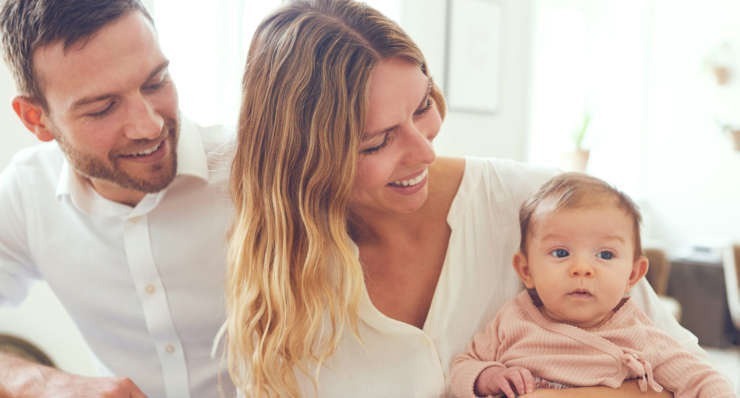 A breath of fresh air: we have been patients with a central London IVF clinic for several years, including 1 successful pregnancy achieved with Alpesh Doshi as our trusted embryologist. Although we wanted a second child, we were worn out with all the physical, mental and financial anguish, including repeat travel from Hertfordshire into central London. Therefore, around the turn of the year, we were set to abandon any further treatment, when we found out Alpesh had set up IVF London in Elstree. This felt like a sign to have one last try, knowing and trusting Alpesh and no longer having the stress of Central London travel and parking. So far we have not been disappointed: Alpesh has been a breath of fresh air, kind, patient and responsive. Alpesh and his dedicated staff have ensured the bespoke personalized service you expect when private patients. Although it is relatively early days on this hopefully final part of the journey, we would not hesitate to recommend Alpesh and IVF London to anyone looking for a leading IVF alternative to the Central London clinics. We couldn’t be happier with our choice of clinic. This is our first IVF attempt, and whilst in an ideal world we wouldn’t need any help conceiving, IVF London really made the process as comfortable as possible. We were extremely anxious before deciding to contact IVF London, but we are so glad we did. Both Alpesh and Alex explained our options, and the process fully every step of the way, in a way that we both understood, we left that first appointment, not only with more knowledge, but also with hope. The actual IVF process was by far fine, it wasn’t as horrific as google made out and with Nurse Abbys help even the injections (which I was absolutely dreading) turned out to be fine as well. We were also so impressed that at every appointment, we were met by friendly staff on reception, and were seen by both Alex, Alpesh and Abby as well. At each appointment we were made to feel as though we were the only patients, and whilst we know that this isn’t true, the time taken with us during our appointments were never rushed. My only regret is that we didn’t decide to contact IVF London earlier. (If we had done this never ending 2 weeks wait would be over!) Thank you to all at IVF London.